As coordinator of the CEMCAP project, she and her colleagues have been investigating how to reduce greenhouse gas emissions from the cement industry using carbon capture and storage (CCS) technology. She argues that CCS could play a key role in saving our planet in the future. Put simply, it is where you remove the carbon dioxide (CO2) from the gases emitted from the burning of a fuel or an industrial process before they can escape into the atmosphere. You then have a concentrated amount of CO2 that you need to store somewhere so that it cannot escape. Why is it now being seen as such as an important part of combating climate change? ‘If we are going to have a world where we limit global warming to 1.5˚C, we are going to need to capture carbon and store it permanently, so it cannot get into the atmosphere. The recent report from the United Nation’s Intergovernmental Panel on Climate Change (IPCC) talks about how important technologies that do that will be to reach that target. How much of an impact could it have? ‘It depends on where you are looking to use it. I started working on carbon capture in 2002 and until about a decade ago, the main focus was on using it to remove carbon from fossil fuel-based power generation, such as coal-fired power stations. Now the scene has completely changed as a significant share of the power generation can be replaced with renewable sources. Such as processes in the cement industry? How close is the technology to being realised? ‘From a technology point of view, we know we can do it, but we need to demonstrate the technologies on site. ‘There has been a lot of research on carbon capture, transport and storage over the past two decades. A number of different technologies exist for capturing carbon from processes, where the most mature uses amine scrubbing where the CO2 is absorbed by a solvent. This is the technology being used at the Boundary Dam CCS project in Canada. ‘Storage has also been proven. Norway, for example, has been storing CO2 under the North Sea for more than 20 years due to its carbon tax on offshore oil and gas fields. They found a huge seam of natural gas at the Sleipner Vest field but it also contained a lot of CO2, so they decided to remove it and store it in saline aquifers at the same location. The CO2 is injected into porous sandstone where it dissolves in the salt water in the rock. What challenges stand in the way of deploying CCS? It’s finally here! Winter solstice brings promise of longer days to fight the gloom . .
And getting industries on board? ‘There really needs to be a strong business case for industries to do this and take the last steps so that the technologies are demonstrated on site and advanced to full-scale commercially available technology. I think it is mainly about creating a market for industrial products that are produced with a minimum of CO2 entering the atmosphere. ‘There needs to be more public outreach to explain what the technology is, how it works and what the risks really are if we don’t use it. While the technology is expensive, the cost of doing nothing and continuing to live as we are now could be even greater. ‘We need to make sure it can be done at the kind of scale we are going to need it for. At the moment, most projects have been pilot-scale trials or small demonstrations. And we will need to verify the existence of sufficient and suitable CO2 storage sites. Is there anything that can be done with the CO2 once it has been captured? ‘We did look at whether the CO2 can be turned into something useful and found there were some niche products that could be produced. ‘One solution for permanent removal would be to use it to make carbonated concrete. CO2 is also used in greenhouses to help food grow, which could be another use. But this alternative, and many others for CO2 use, will not permanently remove the CO2 from the atmosphere. 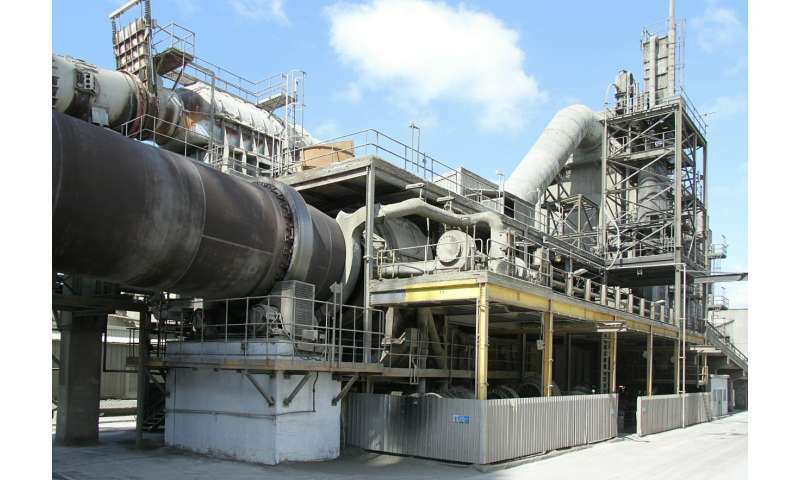 Is there frustration at the slow pace of uptake of CCS? ‘There was a lot of momentum in the early 2000s with lots of projects getting underway, but that fell to pieces during the financial crisis. Horizon brings you the latest news and features about thought-provoking science and innovative research projects funded by the EU. Our articles are written by independent science journalists and are designed to appeal to both scientists and non-scientists alike. We mix stories on the latest EU-funded research with interviews with leading scientists, all written in a clear, accessible style. Each month we also take an in-depth look at a particular area of research, from 3D printing to Europe’s obesity epidemic. Our content is updated daily and access is free. Horizon is published in English, on behalf of the European Commission’s Directorate-General for Research and Innovation, and by ICF Mostra, a division of ICF International.